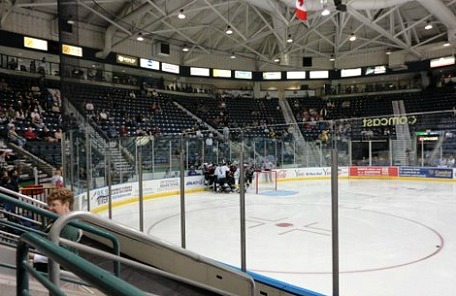 Florida Everblades - Ice hockey in the Sunshine State? Hey, why not! 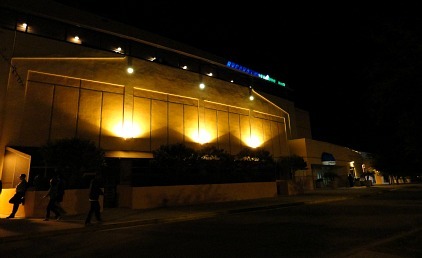 So come to Germain Arena to chill out, have fun, and root for our SW Florida team. Located in Estero, the town just south of Ft Myers, Germain Arena is about a 40 minute drive from Cape Coral and easy to get to, it's right off I-75. 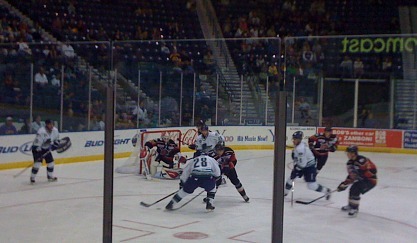 I'd never been to an ice hockey game before and kept hearing about what fun it was to go to see the Everblades. We had terrific seats about 4 rows back, in the middle, and on the side of the arena. As you can probably imagine, there was a lot of furious skating, slamming against the wall, and flying hockey sticks along with great slap shots, defense moves, entertainment, and fighting, of course. Smile cams and kissing cams capture spectators and make them part of the show ........ so smile and maybe you'll see yourself on the big screen! Crazy games during half time also involve the crowd, Swampee the team mascot, and some gals called the Everbabes, who throw tee shirts to the crowd and keep the ice clean. 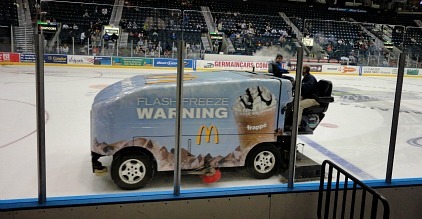 I think it's kind of cool to watch the Zamboni machine as it also cleans off the ice several times during the game. The usual food you find at other sporting events is found at Germain Arena and I swear, hot dogs never taste better than at a game! Look for special food deals on Wednesdays, gift packages and certificates, and Eats and Seats Deals through the Lazy Flamingo restaurant, themed nights like Teddy Bear Night, merchandise, and so much more. Season passes are available for diehard Florida Everblades fans. 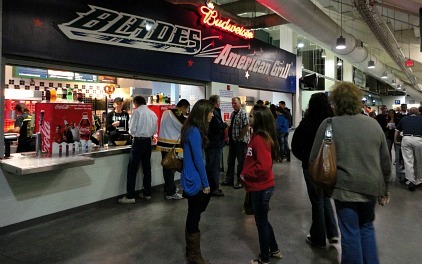 Season Pass holders can attend player meet and greet parties. You can also join the Blades Fan Club, or get involved with the Junior Everblades team. Everblades hockey is one of the most popular Germain Arena events, so if you haven't been yet, bring your noisemakers, a jacket, and go give Florida ice hockey and the Everblades a try!